The University’s squash team has started volunteering with MetroSquash, a local organization that teaches youth how to play squash while also preparing them for academic success and college. The squash team has decided to focus its efforts on the athletic component of MetroSquash as opposed to the academic component. Given that other UChicago students tutor students at MetroSquash, third-year and co-captain Tom Wilberg believes that his team can make the greatest difference by offering squash lessons. The new building on 61st Street and South Cottage Grove, which the University squash team shares with MetroSquash, has eight squash courts and, in the back, an academic center with classrooms and offices. Students enrolled in the MetroSquash program spend half of their time at the center learning squash and the other half working on academic skills. Co-captains Wilberg and fourth-year Daniel Kang have organized a tentative schedule in which different pairs from the UChicago team will be committed to volunteering daily and helping the students with their squash skills. Volunteers work with students of all ages—younger kids work on basic skills like bouncing a squash ball on their racquet while older kids receive advice about gameplay. “I had a lot of fun with them and [I] am looking forward to going back,” first-year squash team member Jay Modin said in an email. MetroSquash relies heavily on volunteer participation to keep things running smoothly and maintain a reasonable instructor-to-student ratio. 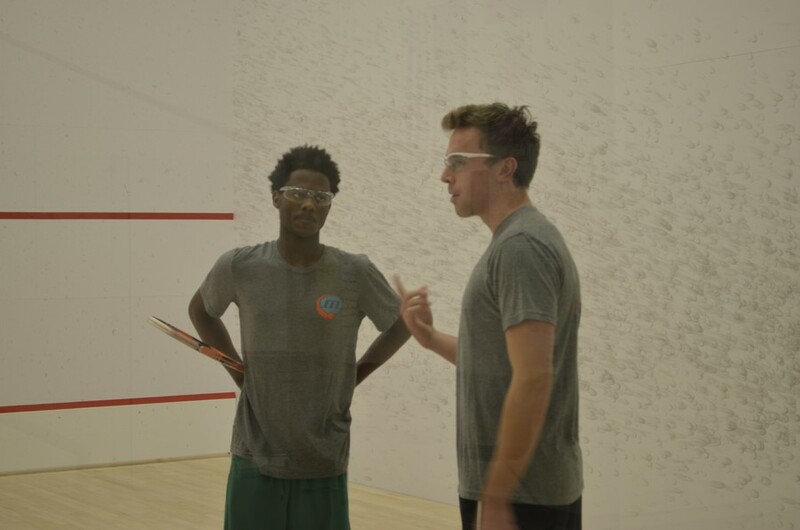 “Many [of the team members] are exceptionally strong squash players, and they have an exceptional impact in our ability to provide meaningful programming,” MetroSquash Executive Director David Kay said in an e-mail.